With Ubuntu's recent release of the Bionic Beaver, 18.04 LTS, I wanted to take a look at how the various major distros’s are consuming memory in a fresh install. 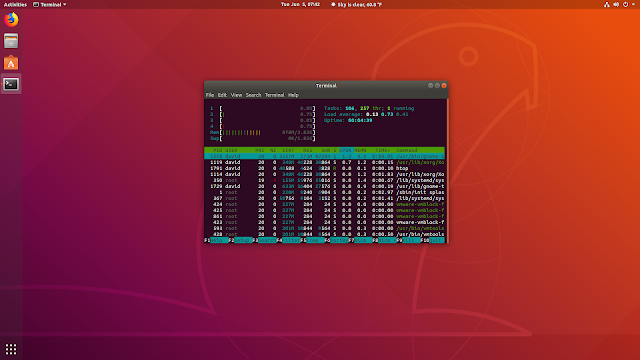 I did a test drive of several distros in a Virtual Machine. Yes, I know that running a distro in a VM isn’t without some drawbacks, but it let’s you kick the tires without breaking anything. And when you have real work to get done, all of these can install and update in the background. Linux Mint 19 Betas were just released the same week as I published this, so will follow-up with it later to see if Cinnamon 3 has changed when the full release occurs. For kicks, I installed Fedora 28 with their net installer in both the ‘standard’ Workstation (ie Gnome 3), and their LXQt Spin. And for even more fun, after testing Ubuntu 18.04 ‘default’ - I installed Unity to see how the old battleship compares to Ubuntu's current Gnome desktop. My laptop used for testing has an Intel i7 8-core processor running at 2.8GHz, with 16GB of RAM. All of the distros were loaded onto a VMware Workstation 12 Player machine, each with 4GB memory, 4 processors assigned, and 3D graphics acceleration enabled. 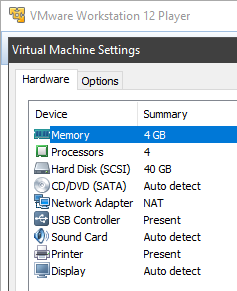 Open VM Tools (including Desktop) were installed on each system, allowing automatic screen resizing and drag and drop file transfer to the host machine. Htop was installed as to have a universal performance check tool instead of using the default OS system load application. Seems more fair this way. You can argue otherwise. Testing was performed when each machine was set to full screen session (1920x1080 Full HD). Someone is going to read this (I hope) and scream at their monitor "you idiot, why didn't you first change this setting (pick one) to make it fair!" Listen...this is a check of the distros in 'default' mode - only having installed the aforementioned Open VM Tools packages and Htop. Nothing was uninstalled or tweaked. Full disclaimer though that Ubuntu was installed with their new 'minimal installation' option. You can decide if that's fair or not - but it's what I chose for this test. As it's a new 'default' option in the installer - I used it. 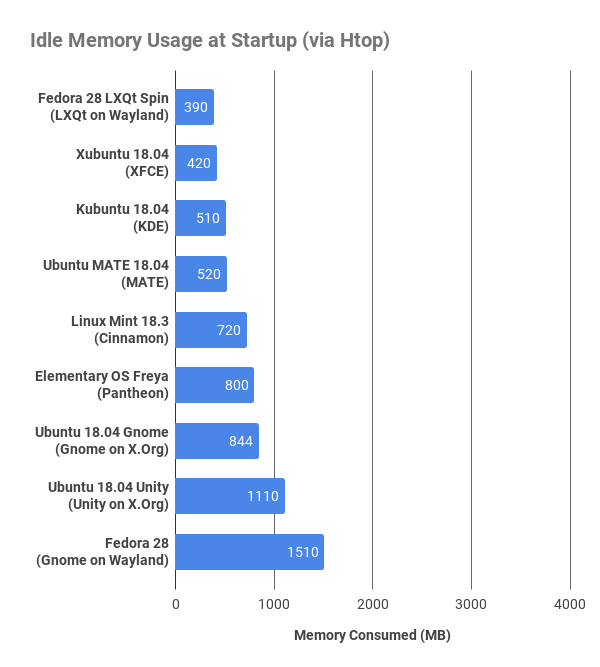 This isn't a comparison of the desktop environment (Gnome v. XFCE v. Plasma v. whatever) - this is a check of how much memory the OS is using as a whole at startup. If you were to dig into the actual memory utilized by just the window manager or desktop environment alone, the numbers would be different, but wouldn't tell the whole picture. I am just reporting what I see here - no bias is intended (though some opinion is given). You can take your distro holy war cry somewhere else - Reddit would love to have you. Wow. I hadn't visited LXQt since the project was announced some time ago, but it is certainly carrying the LXDE torch for minimal memory utilization. Even with all the stuff Fedora throws in with their releases, it is still flying low. Impressive. These quintets are what I was most interested in seeing results for. While I expected Xubuntu to be low, I hadn't touched KDE in awhile, and am very impressed that Kubuntu has slimmed up so much from previous releases. For some reason, in my head I thought this distro might come in a little lighter. I must say that I am impressed with memory consumption with the default Gnome desktop. Comparing to the Unity desktop I installed - its consuming nearly 25% less. 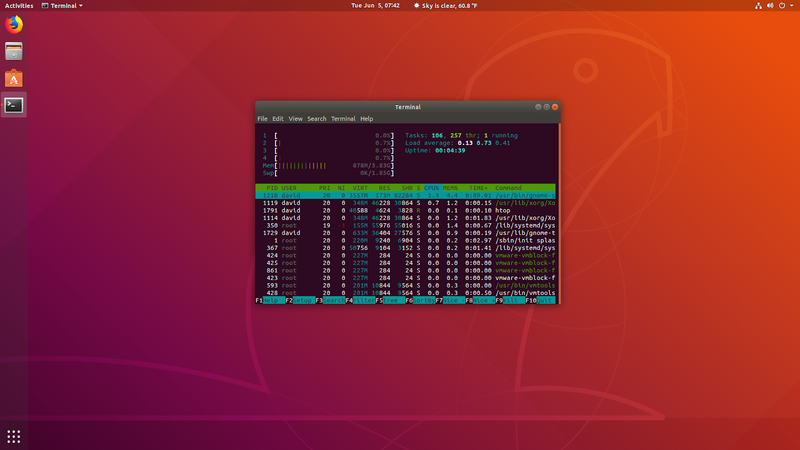 Now I understand that simply doing a 'sudo apt install ubuntu-unity-desktop' does not provided a fair comparison, as we are now not looking at a LTS release. But as I didn't have a 16.04 ISO handy - installing Unity on top of 18.04 was my easiest way to do the quick check. In the end Unity is history and Gnome is full speed ahead. So make you own conclusions from this comparison check. Not sure how to explain this Titanic of memory consumption, other than to make an assumption that Fedora's offering includes a lot of stuff. It appears to me that Fedora is offering a developer-centric distro, and a lot of packages are included - thus many services are running at startup. None. You'll have to draw your own. I can only write what I saw during testing. It isn't a perfect test, was done out of my own curiosity, and probably would be done differently by someone else. I can state that it is refreshing to see so many offerings available for your choosing. Take your pick.